Description: This informative workshop will provide an overview of United States copyright law, including fair use, copying, interlibrary loan, public domain materials, and the Digital Millennium Copyright Act. The spectrum between public domain and “all rights reserved” will be explored with particular emphasis on Creative Commons principles. 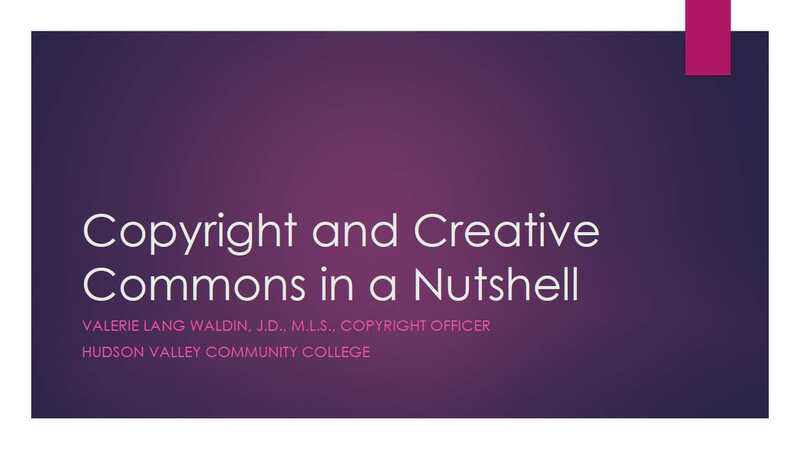 Given the global nature of the Internet and rapidly evolving information environment, this presentation will also include an overview of how Creative Commons licensing has promoted widespread open educational resources (OER) initiatives. Cost: $10 cash or check, covers the cost of the workshop, ziti, salad, beverages, and CAKE! Please bring checks (payable to CDLC) or cash to the event as online payments are not accepted. *We will be collecting donations for Grassroots Givers at the workshop. Donations are greatly appreciated! Receipt and/or proof of attendance available day of the workshop. Presenters: Rebekah Jarvis-Girtler, Outreach and Digital Services Librarian, William K. Sanford Town Library; Tyler Norton, Library Communications and Marketing Associate, University at Albany Libraries; and Lauren Puzier, User Experience Librarian, University at Albany Libraries. Description: Join us to learn how libraries can take advantage of Slack, Trello, and Zapier to increase productivity and start checking off never-ending to-do lists. We will be discussing how library staff can use these tools to enhance communication amount colleagues, to improve project organization and management and to automate some of those repetitive, time-consuming tasks that might take up your day. Learn how Slack can make collaborating with colleagues at the library quick and fun! @ Trello, a web-based management app, allows users to plan multifaceted projects, Finally we will look at how Zapier can simplify your workday by connection your favorite apps and programs to automate tasks. Cost: $10 cash or check, covers the cost of the workshop, pizza, salad, and dessert. Please bring checks (payable to CDLC) or cash to the event as online payments are not accepted. *We will be collecting donations for Grassroots Givers at the workshop. Donations are greatly appreciated! Book donations can be for all ages, hardcover or softcover. no magazines, periodicals, or old textbooks.